Join the Martha's Vineyard Film Society and fellow film-lovers as we watch the 91st Academy Awards and host our Annual Oscar Viewing Party. The event is complete with light appetizers, desserts, and beverages. 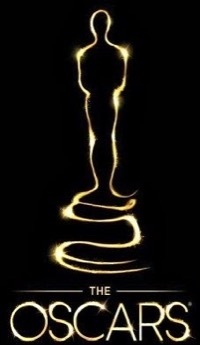 We'll begin at 6:30 pm with the Red Carpet Arrivals and reception with guests getting the opportunity to have their picture taken with a real Oscar. When the ceremony telecast begins at 8:00 pm we'll give out prizes (movie passes, concession gift certificates, movie posters) and begin to learn the winner of our annual Guess Oscar contest, in which the contestant who selects the most 'winners' receives a Film Enthusiast Membership ($500 value) that includes free movies for an entire year! The Viewing Oscar Party is one of the premier off-season events for the Film Society and represents the culmination and celebration of an entire year of film at the Film Center and our other theaters. Every Best Picture nominee was screened by the Film Society in 2018-19 in what is sure to be one of the closest races in years. Tickets can be purchased online and in advance at $35 for General Admission and $30 for Film Society members. Tickets purchased at the Film Center Box Office on the night of the party are $40 General Admission and $35 for members--be sure to buy in advance! All proceeds will directly benefit the Martha's Vineyard Film Society and the 14th Annual Martha's Vineyard International Film Festival to be held this September.